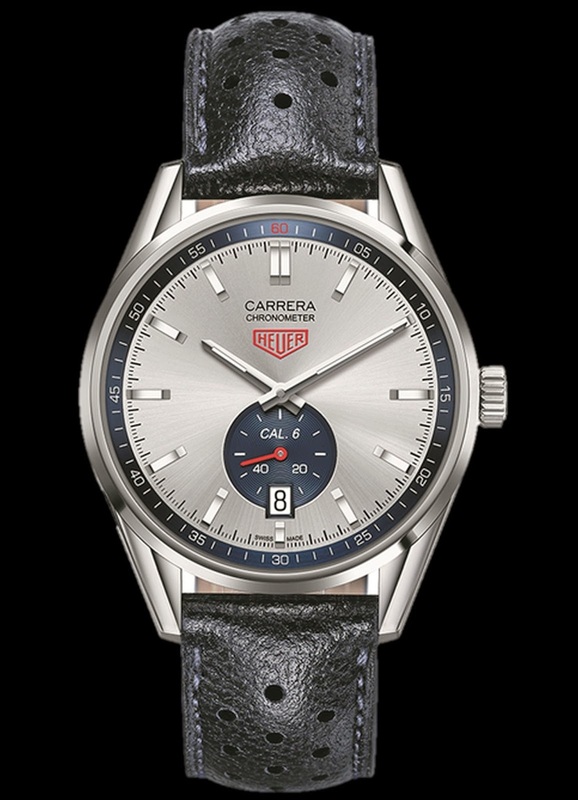 Swiss luxury watch maker TAG Heuer launches the CARRERA (39mm) Calibre 6, a COSC certified automatic timepiece sporting a vintage look and the iconic Heuer logo. This new timepiece captures the heritage of Heuer, and gives it a unique and very modern twist. Its 39 mm case is an ideal choice for audacious men and women. This new silver and blue three-hand piece, with a touch of red on the flange’s “60”, the Heuer logo and the second hand, looks like a colored tribute to the original 1963-Carrera design. The blue small second counter matches the blue vintage perforated leather strap. The Heuer logo on the clasp of the strap personifies the style up to the tiniest details. The silver, blue and red combination gives to this watch a very retro-trendy look. This timepiece is powered by the prestigious COSC-certified Calibre 6, with a power reserve of 44 hours and a beautiful decoration, “Côtes de Genève” on the oscillating mass and a TAG Heuer Swiss Made with the name of the calibre engravement. Eventually the glass box makes its look more airy, more pure, truly in this vintage inspiration. Classic yet unconventional, the Heuer Carrera suits perfectly to those who appreciate standout design.